For a $15 wine, this is nicely made. There's rich fruit, spices, and an earthy undertone. It paired extremely well with my crispy duck and dates. I recommend it at this price range because Pinot Noir is very hit-or-miss under $20. The Santa Lucia Highlands area of California is producing some nice wines and we'll be seeing that designation on the front of labels more and more. Raise a glass! The PGA Tour golf pro Greg Norman scores an "Eagle" on this lovely wine that is rich black cherry color with deep black berry fruit, ripe plums, and a spicy cedar nose with a bitter chocolate tail. This wine is full and robust with flavors of ripe dark fruit, cedar and baker's chocolate. the structure is quite nice with sweet tannins and a finish that says, sit back and enjoy. At $15, this is about as good a wine you can hope for. Worth seeking out and buying up several bottles. Raise a glass and clean your short stick--the season of golf tis upon us, even in Maine. The Wine Cask Blog is happy to be hosting Wine Blogging Wednesday #32. It's time to determine if the "reserves" are really that much better. So get two bottles, same vineyard/winery same vintage but have one be the "regular" version and have one be the "reserve" label (different "levels" of the wine are fine as many "reserves" are not actually labeled as such). Compare them. What makes the reserve wine better? Is it even worth it? Please don't go overboard on pricing as some reserves can get spendy. The Wine Cask Blog is about accessibility to the world of wine and part of accessibility is price. You could even pair up with another wine blogger and one of you do the regular and the other do the reserve. I will have a synopsis of the reviews and links to your blog posted starting Wednesday April 11. This reliable producer out of Washington State is a pretty pale golden with a gentle apple nose. 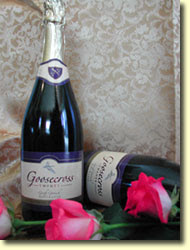 It is slightly effervescent on the tongue with lively flavors of light peach and apple. It has lost some of its zesty structure this wine had 8 months ago or so but is still a nice value wine. The finish carries on a bit. Tasty and a good value at $6. Raise a glass but raise it now; it is fading! This inexpensive wine by Louis Latour is made from grapes out of the Coteaux De L'Dardeche is a light yellow with loads of vanilla pudding and a citrus, sunny fruit filling the room. The palate is tasty with a creamy texture and creamy notes of pudding with a citrus back bone. It finishes with popcorn. The palate is a bit dull though due to a lack of structure and back bone. We have to get real here, this wine cost only $8 and is worth the price. Raise a glass. I picked this wine up on a previous trip down to (NW’s) in Boston. I grabbed it because it was ten years old, I wasn’t familiar with it all and it was cheap–$10! There is some slight *“bricking” a t the rim but the color is holding. It is a little earthy with a very gentle bouquet and a lot of alcohol in the nose-ick. In the mouth this wine is understated but very drinkable with cherry highlights. With some air, the alcohol burns off and the bouquet is great even if hard to describe. It’s just more dried fruit with an herbal finish. This wine is perfectly mature so raise a glass. *Bricking is the term used for the change in color of a red wine that is aging. As oxidation occurs the nice brilliant red color turns to a reddish orange, then to brown as it gets old. This is a Sicilian blend of Nero D’Avola and Syrah and it is a really interesting wine. In the glass it is a beautiful deep cherry red which you just don’t expect and the bouquet is wonderful yet I had a difficult time pinning down a description. I think there is some caraway and floral aromas with a fleeting come what milk choclatey under layer. In the mouth, it is obviously a nicely made wine with rich flavors of dark berries but that doesn’t do it justice. It is just nice with an under layer of dark baker’s chocolate. This wine is unique and hard to describe it but I like it! I was at (NW’s) and we had it with a nice dish of risotto and chicken breasts courtesy of my daughter. At $16, raise a glass all the way around! As rose bubblies go, this one packs a punch with color and flavor. It's relatively intense in every way. The color is particularly eye-catching, and the flavors range from grapefruit to roses. I've had two small glasses so far tonight, and I've enjoyed the wine. It hasn't paired particularly well with the appetizers, but I didn't have any prior experience with it in order to make a proper pairing. Also, this was a gift, so I wasn't sure what the reference price was until I checked the Goosecross website. After a little research, it turns out the wine is priced at $35. If you're looking for an interesting bubbly out of Napa Valley, this wine is a lot of fun. Make sure to enjoy it with family or friends! And raise a glass! I like the floral qualities in this wine, but I think the finish is too tart. It detracts from the overall appeal. At a recent dinner party, I paired this with an onion tart. While it did okay, I think a more full-bodied white would have been better. Still, I'm attracted to the Italian whites that have this soapy, floral quality. I just wish the finish was a little softer on this Gavi. It was worth the experiment, considering the sale price on the wine was just $8, marked down from $11. Find a Gavi you like and raise a glass! I had the pleasure of drinking this wine three times in the past month. My tasting notes are fairly consistent from bottle to bottle. In general, I think this wine is a nice "entry level" Amarone. It's entry level in price and in quality. While it has some of the characteristics of the better Amarone's priced from $60-$120, you don't have to break the bank. This wine costs around $40, which is towards the lower end of the Amarone prices. My conclusion from each tasting is that this wine is too young to drink right now. It needs at least a couple more years to soften and become more integrated. However, don't miss the opportunity to try it now in order to make your own assessment- especially if someone else is paying as was the case with two of my bottles. Raise a glass! It's always great when a wine is better than I remember it. I've always like this wine from Hedges Cellars in Washington state, but this was definitely the best experience. Not only does it show fruit, spices, and other layers, it also has nice texture and a silky finish. I can't argue with that for a mere $12. If you often see this wine but haven't given it a try, you ought to. It should impress you, and maybe even lead you to other Washington state red blends. This bottling is a blend of Cabernet(s), Merlot, and Syrah. Raise a glass! I don't see what all the fuss is about. To me, this is a decent, well-made wine. But it got big scores from some of the critics and I'm not sure why. I've had it twice now, with consistent notes. The core flavors are nothing impressive and it shows no signs of the voluptous characteristics of small oak barrels that are used to finish off other red blends in Tuscany and Umbria. Maybe this is asking too much for a wine that retails for $11, but the wine critics are the ones who drew attention to it. With that said, it does have nice texture and appears to be well-made overall. For a traditional-style Italian red, raise a glass! I am sipping on this wine as I post this review. Interestingly, it has evolved while sitting in my cellar. I bought a case about two years ago and have taken notes on each bottle. For a while, they were very consistent reviews from bottle to bottle. Because it's been six months or more since I last opened one, I decided to give it a try with Swedish meatballs (heavy on the carroway). The pairng was pretty good, but what struck me was how the wine has changed. While this wine used to show lots of black cherry and vanilla, it now shows some added blueberry and an interesting earthiness on the nose. Another layer that is more pronounced than it used to be is the anise on the palate. I find this really intriguing, partly because I wouldn't assume this wine has much ageing potential. Actually, it might be starting to fade just a little but is showing a smooth integration of layers that makes it seem more elegant on its way out. I still have a couple of bottles, and will wait a while on those to see what happens. You just never know. Right now, this is a really nice wine that I wouldn't guess to be just $11 (actually, I paid a case price of $8.50 per bottle). Raise a glass! For an interesting comparison, read my review of this wine I posted 18 months ago on this blog. At the time, I was disappointed because the wine wasn't very good. I ordered it at a high-end and very reputable restaurant, but it tasted really flat. How is this possible? One explanation is that the bottle was corked and I didn't know enough to send it back. Another explanation is that the wine was in an early "dumb phase" where the fruit was obscured and the layers weren't really coming together. This can happen with Bordeaux and other fine reds, but this is usually something that's discussed in reference to really expensive wines. In this case, the bottle I had recently was very enjoyable. It had a dry, classy quality and showed nice layers. While I was wandering through a local wine shop, I noticed a few half bottles of this stashed on an end cap. I picked one up for just $9 and I'm glad I did. If you happen to see a 1999 hanging aroud, check it out for yourself. I hope you get a good bottle, because if you do you're in for a treat. And raise a glass! This rose has a red/orange/yellow hue with a beautiful bouquet of candied red fruit. The flavors are subdued, but what is there is pleasant and fresh. The wine is a bit acidic and somewhat unremarkable. I prefer the old label rose "La Vielle Ferme." I paid $8.50 for this which is a fair price although their previously produced rose from the Cotes Du Ventoux was much better and cost around $6. This is a good aperitif wine. Raise a glass. Decided away from seafood for our Friday night repast and went with a homemade version of mostaciolli. Enter a bottle of Tuscan wine I had never heard of and am not sure why I bought it. It is youthfully purple on the pour a nice but really sparse bouquet of a little spice and dried cherries. In the mouth it is steely (classic Sangiovese flavor) with light fruit but the wine is really closed and needs to be decanted. Seems promising. After 40 minutes or so, this wine opens wonderfully to a beautiful big bouquet of raspberry and cherry notes. In the mouth this wine is just wonderfully tangy with solid fruit and balance all around. A couple different layers emerge with some anise and espresso. This is a really nice wine and for $13 it is even better. Worth searching out but be sure to let it air out! Raise a glass. It is purple and a pretty black garnet with a bouquet of black cherry and a touch of cedar. In the mouth this wine is really well made with bold tannins, a touch of spiciness, and dark fruit right out of the gate but benefits from breathing an hour or so. There is a layer of black licorice with 15 minutes of air and an under layer of dark chocolate that is ever so slight. This is really a very nice wine and especially for $14. It is balanced through out and delicious! This is a wine worth hunting down. Raise a glass! Remember the progression of Beaujolais wines? They go (increasing in price and quality) from Beaujolais to Beaujolais Villages, Beaujolais Cru and Beaujolais Nouveau which is in a class by itself. This is one of the Beaujolais Cru named "Fleurie." This wine was $13, has a nice clear garnet hue with light Gamay aromas with gentle raspberry and strawberry kool-aid bouquet. In the mouth this wine was really kind of unremarkable which is not the case for most Cru wines. It was okay but really not memorable. Try a differnt year and raise a glass. This Chinon wine is 100% Cabernet Franc with a big bouquet that reminds of a high end Chianti but only at the surface. Then this wine is absolutely unique. It smells like there is aftershave on the glass but we (NW) and I tasted this wine together and we are very careful about such extraneous odors. Rather the fragrance was just powdery and unreal. In the mouth, this wine is tart, bitter with a Sangiovese-like similarity but not. It is short on the finish. I think (NW) paid around $17 for this. If you are not experienced with wines from the Chinon which is located in the heart of the Loire, this would be a fun wine to try. Raise a glass to new adventures through new regions! This is a nice ruby red with cherry bouquet and a unique nose that is hard to pin down but seems like spice, leather and tobacco perhaps with a subtle under layer of dill. In the mouth the wine is nicely made with a nice initial impression of cinnamon and spice, a with a medium body of bready fruit and fine tannins. With a couple hours of breathing it is a wine presenting with balance of acid, tannins dried cherry flavors with black cherry highlights and cola to the finish which is is okay. I think I paid around $15 for this wine. It is a tasty, well made wine. Raise a glass. This Chilean Merlot is everything right about Chile's best wines. It has nice hefty color of deep garnet with a twinge of purple youth and a room filling aroma of fresh berry fruit and a nose of cedar, green pepper, ripe plum, and blackberry. Palate is delicious with a touch of licorice, bread, ripe fruit but needs to air out to really show its stuff. With a half hour of breathing, this is a big wine that is rich with big dark fruit , plummy with bread. There are cedar notes and a cocoa layer on nicely a balanced, solid tannic structure. This is a very nice Merlot and was wonderful with my lover's home made lasagna. The wine was a gift but the price point of this wine runs anywhere from $16 on sale to $22. It is worth the $22 so raise a glass. I just opened a bottle of El Toqui Syrah and it was corked. How do you know a corked wine? It's usually fairly obvious if you have any kind of experience with wines, but if you don't, you would probably think it was just a yucky wine. Sometimes you do get "just yucky wines" that aren't corked--they're just yucky. This one gave no indication by the cork. Sometimes the cork will be cracked or there will be oozing around the cork. That doesn't necessarily mean the wine will be corked but it means beware. What does a corked wine taste like? That's a little more difficult to explain because it depends. This one I just opened had a beautiful color but after the nice fragrance of fruit in the room, getting closer into the glass there was a fairly strong odor of mildew, or wet newspaper. But I have had wines that smell pretty funky on opening but after a few minutes of air, the funk goes away and the wine tastes fine. This one tasted like mildew as well. This one was obvious. But other times a wine may just be really lackluster and flat. About the only way I would know if the wine was corked or just a poorly made wine is by past experience with the wine and or vintner. This is where other reviews can be helpful as well. If I had any doubt about this wine being corked, (NW) reviewed the same wine not long ago. That's always a good check on your suspicions. Supposedly up to 15% of wines are corked. I think that is a greatly inflated figure. In over 25 years of wine tasting, I have seen only about 2-3% corked wines which is why I question the legitimacy of alternative closures but that debate is pretty well over. At any rate, I opened another bottle of a different wine and it was marvelous. That's the wine reviewed above! So raise a glass and remember, life is too short to drink bad wine! This Chilean varietal is 90% Carmenere and 10% Cabernet Sauvignon. In the glass it has a deep, purple core with a radiating purple sunrise red rim. The bouquet is subdued on opening with faint tones of of forest glade. In the mouth it is fairly rich, tannic, and waiting to break out. It needs decanting. After some air time, there are mint and dill notes with a nice enough palate but it is really understated from what it seemed to promise. The finish is practically non-exisitant. This wine which cost $13, started out big but just never delivered. At this price point, you can do better especially from Chile. Raise a glass. This is a "Grand Vin De Bordeaux" that is medium garnet in color with a hint of purple youth still. the bouquet is fruity with dried cherries predominant and a light nose of cedar. 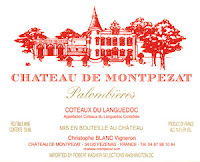 In the mouth this wine is nicely made with an artistic balance in the more genteel style of classic old world wines. Tannins are mild, there is a little tartness with dried cherry and bread flavors. the finish is quick but this is all right out of the gate. With some breathing room, (2 hours) this wine which was nice but just "Okay" changes yielding ripe plums at the rear palate, with dill aromas and light pepper and dill in the mouth. I don't remember what I paid for this wine but I believe it was in the $12 range. This is a really nice wine for the price so raise a glass. Get out the fork and knife- this is a huge, rich wine that you might need utensils to cut through! In fact, it's almost over the top. With that said, though, it's really enjoyable. You just better be in the mood for something like this. I recommend everyone try this wine to see what this end of the spectrum is like. This goes beyond Barossa Valley Shiraz from Australia and Central Coast California Zinfandel. In this varietal's ancestral home of the Rhone Valley in France, this might not even qualify as wine. They would be astonished by this bottle, asking themselves, "You can do this with grapes?" Check it out. If for no other reason, then to educate your palate about the range of possibilities. You should be able to find it for around $18-20. Also, see PB's review of this wine below. Raise a glass! PB and his wife were in town for a brief stop over, and it happened to be "Open That Bottle Night" (OBTN). OBTN is a tradition started by the wine columnists from The Wall Street Journal in order to provide an excuse to open some good wines and enjoy the company of friends and family. On this occasion, we did just that. The food was excellent, with a variety of courses, and the wine was flowing. I decided to open this bottle of Dominus because it had been in my cellar for four years and probably was at or near it's peak. Dominus rose to fame in the 1980's and 1990's, but recent vintages have not been up to par. This 2000 was a decent year according to the critics, but wouldn't be considered a treasured bottle. At $110 or so, I wish it was. Fortunately, if I remember correctly, the wine was a gift so I wasn't the one who ponied up the money. After opening the bottle, we decided to decant it because it seemed tightly wound. As it opened up throughout the evening, it showed some richness and some nice layers. Even so, it never tasted like something I'd plunk down a hundred bucks for. I'm always pleased to taste wines from storied wineries and expensive labels, but it's a good reminder that selectivity and a discerning palate are a big help at these prices. Overall, this was a real treat. I'm happy for an excuse to drink special wines with some of my favorite peeps! Raise a glass! Okay it is rare that we do book reviews here but when it is a book on wine, why not? John Hailman has chronicled the expansive explorations of wine as experienced by none other than one of our nation's best known patriarchs. Having just read David MCulloch's biography of John Adams--T. Jefferson figures prominently into the era--this book focusing on the politician's obsession with wine was utterly intriguing. Thanks to the incessant quagmire of air travel, I had plenty of time for reading and breezed through the book in a matter of a few hours. This is pure history, albeit, as stated, focusing on the vast pursuit of the fruit of the vine, replete with the written records of Jefferson, shows us not only his preferences in wine, but his character as a man. While this sort of book is not everyone's cup of tea, (or glass of Madeira if you prefer...) the avid oenophile should take pleasure in reading all about the world of wine in the yesteryears of our nation's history and some of its influence on current times. It can get a bit tedious and some of the lists of Jefferson's inventories can grow a bit wearisome but for the real oenophile, this book is a must read and is enhanced all the more by having read McCulloch's book first. Raise a night light and pour a glass of port. This wine is light yellow in the glass with a bouquet that is sweet, citrusy and full of tropical fruit. It is a well made wine with nice balance of citrus and pineapple, and apple flavors with some pairs thrown in on the side. It paired with my seafood pasta in cream sauce I made for dinner. At $11 this is a decent Chardonnay. Raise a glass and a fork! This very inexpensive wine from the folks who make very inexpensive wine is pale golden with a vanilla bouquet and a touch of citrus (orange?). In the mouth, this wine is pleasing with a little tartness and flavors of citrus and a touch of vanilla. Again, like all Salmon Creek wines I have had, they taste manufactured but never-the-less, easy to drink. For less than $5, what can you do but raise a glass? This Aussie (McClaren Vale) wine is a nice dark cranberry colored drink with a dark multi-berry bouquet. In the mouth this wine is deep in fruit flavors with dark berry, some wildness and sits on a nicely structured wine. It is just solid and crisp with rich Shiraz character and pepper notes complemented by a slight vanilla finish. For the price of $12, you gotta raise a glass! This $8 wine is pretty purple with gentle light strawberry notes. In the mouth there is a spicy first impression followed by a steely note. the wine is tightly wound and shallow. Breathe it! This very inexpensive wine ($4.59) is purple tinged and garnet with pleasant, medium berry bouquet. the palate is surprisingly bold with chocolate, berry and a somewhat tannic base. Remember you get what you pay for most of the time. this wine tastes like one of the many "manufactured" petri dish wines so popular today. But again, for the price, I have had wines not nearly as pleasing for twice the price. From the folks who make about 25 different Zinfandels comes yet another called the appellation series. It is medium cherry red in the glass with a brambly, black berry bouquet. The palate is clean, though a bit "hot" on opening. It is somewhat shallow with a slight licorice note. It opens well though and improves all the way around revealing big berry flavors. It is pretty good but a bit pricey at the $16 price point. I'd feel better about this wine at a $12 price point. At any rate, it went well with my home made spaghetti! Raise a glass. This inexpensive wine is pale straw with classic Sauvignon Blanc aromas of grass and citrus. In the mouth it is again , grassy, citrusy, solid and really dry. For the price of $6, it is a value wine. Raise a glass! This baby is a gem if you like big, no gigantic, no make that gargantuan, fruit bomb wines as I do when I' m in the mood. I was in the mood visiting (NW) and he served this phenomenal wine. In the glass it is dark and dense with a black cherry color with a bouquet of black raspberry and a hint of cinnamon. In the mouth it is unreal! It has a velvety texture with a thickish black licorice, espresso or dark unsweetened baker's chocolate flavors with an under layer of cinnamon and spice. It finishes with a touch of smoke. I really liked this wine. It is different; it is huge; and it was only $18 which for this quality of wine and all it packs is a bargain! Raise a glass!